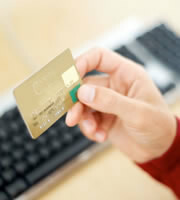 Credit cards vs. overdrafts? No contest. Some self-destructive habits are hard to break. Booze, smoking, eating multiple pints of Cherry Garcia in a sitting: they're all tough to kick. But carrying on using your checking account when there are better and cheaper alternatives? Why do so many people seem hopelessly addicted to that? On June 11, the Consumer Financial Protection Bureau (CFPB) published a white paper on overdraft practices. Among those banks studied that could provide complete data, 27 percent of customers had been charged for overdrafts or non-sufficient funds (NSF) transactions during 2011. For those who got hit with such fees, the average cost was $225 across all banks, though that varied hugely depending on the financial institution, with one charging as much as $201 more than another. Of those one in four who paid any fees at all, 27.8 percent got themselves into trouble regularly, meaning that year they incurred costs on at least 10 occasions for overdraft or NSF events. Clearly, the costs for these serial "overdrafters" (the CFPB's word) could be very high indeed. You might assume that anyone who has so many problems managing their checking account should opt in for overdraft coverage. And yet, astonishingly, the CFPB's study found that was often not the case. Overdraft and NSF fees fell generally after new banking regulations were introduced in 2010, but those heavy overdrafters who declined to opt in for coverage actually saved more money compared with those who did. In fact, they saved a lot more money: $347 per account on average. Of course, banks like the income generated by overdrafts and NSF transactions: the CFPB reckons these make up about 60 percent of all their fee revenues. But why do so many consumers still appear to wish to contribute, especially as a whole lot of them may not have too? One very effective alternative might be to use credit cards more. Nowadays, these tend to come with less onerous fees than they used to. In Credit card companies' so-called secrets, we recently covered a March 2013 report from the Office of Consumer Affairs and Business Regulation (OCABR) in Massachusetts, which took a close look at 19 mainstream credit cards. It discovered that five of those do not levy penalty rates at all, while just one charged both a penalty APR and a late payment fee. Certainly, some credit card companies have started pushing hard their fee-free plastic, presumably because they hope to lure heavy overdrafters. And a flexible credit limit. Of course, people who are really poor money managers may already find their credit scores too low to qualify for credit cards. And others may find the temptation good plastic offers too much to resist. They may be better off using cash or prepaid cards to keep their expenditure in check. However, a significant proportion of those who are currently paying high fees on their checking accounts may well be able to benefit from swapping their spending onto credit cards. Of course, late payments and maxing out cards can still negatively impact credit scores, so it may be a good idea to see such a switch as an opportunity to make a fresh start. One resolution to adopt at that time is to keep a closer eye on outgoings. One of the best strategies is to get into the habit of logging onto your card account at least a couple of times a week; daily may be better yet. Another, recently suggested on the DailyFinance website, is to enter your card payments into your checkbook as if they were checks. Both of these allow you to monitor your spending, and to make sure you're going to be able to settle your card bill in full on the next due date. It probably doesn't matter if you carry over a manageable balance every so often, but you need to watch out for an ever-rising debt that might mean you're living beyond you means. If you spot that trend, it's time to take a cold, hard look at your finances. Otherwise you might find yourself struggling with maxed-out cards AND costly overdraft and NSF fees. It could be enough to turn you to addiction. 0 Responses to "Credit cards vs. overdrafts? No contest."